In the 1960s and 1970s, Yan Kow was a major figure in the construction industry and a major philanthropist in Hong Kong. 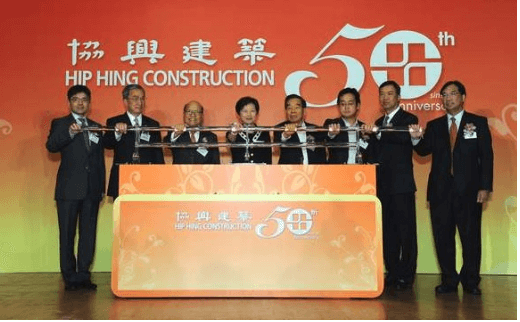 Hip Hing Construction, which he led and co-founded with Cheng Yu-tung (鄭裕彤, 1925-2016) and David Sin Wai-kin (冼為堅, 1929-) in 1961, remains one of the leading construction firms in Hong Kong as a subsidiary of Cheng’s New World Group since 1973. As Cheng and Sin came from the jewelry business, Yan was the driving force behind Hip Hing which together with its affiliates and Vibro HK Ltd has completed many major construction projects in HK both for the New World Group and other entities such as the HK government and leading banks and corporations over the past six decades. A native of Hai Yen in Toishan, Yan Kow was the son of Yan Kwai-yuen (甄貴元,1892-1966), a Chinese American who participated in the Chinese revolution and died in Chicago. He started his career in construction at an early age although little information is available about his early years. In the late 1950s and early 1960s, the real estate business in HK began to take off and two aspiring tycoons in their 30s – Cheng Yu-tung who had inherited his father in law’s Chow Tai Fook chain of jewelry stores in 1956 and David Sin whose family operated a chain of pawn shops were keen to expand in the real estate and construction business. One of Chow Tai Fook’s first real estate projects was an 8-story residential building at 265-275 Tai Nan Street in Sham Shui Po in 1961 and involved in the project was Kow Kee Construction (球記建築), likely the firm of Yan Kow. The same year, Yan Kow got together with Cheng and Sin and formed Hip Hing with 10 staff. The trio decided to name their firm “Hip Hing”, the Chinese characters for cooperation and prosperity and the character “Hip” also contains three 力 -the Chinese character for energy, representing the three energetic founders. The real estate empire of Cheng grew in the 1960s with buildings in Wanchai (Lockhart House at 451-457 Lockhart Road, 1963), Causeway Bay (HK Mansion on Yee Wo Street, 1965), Happy Valley (Blue Pool Court at 74 Sing Wo Road, 1960), Hunghom (Whampoa Building at 1-29 Ming On Street, 1967) and Central (Manning House, 1965 – see article on Stereo Ltd) and Hip Hing was probably involved in the construction of some of these projects. 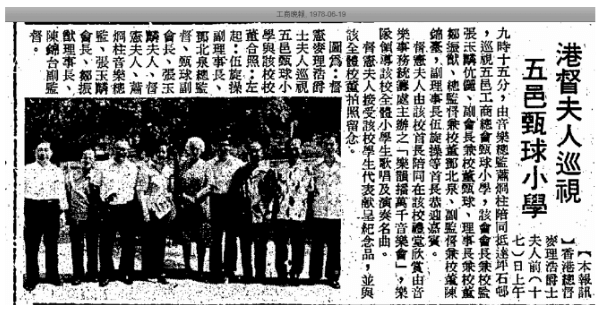 in 1970, Cheng teamed up with Ho Sin-hang, YC Liang, Young Chi-wan, David Sin and others to form New World Development, which acquired Hip Hing in 1973 with Yan Kow staying in charge as managing director. Also absorbed into New World in the early 1970s were Vibro (HK) Ltd (惠保), the oldest foundation contractor in HK which was founded in 1929 by Carlos Augusto de Rosa and Samuel Macomber Churn of China Provident when they secured the local rights to the Vibro piling system invented by A. Hiley in the HK; Waking Builders (華經建築, incorporated in 1962, renamed Hip Seng Builders in 2014) and Tai Yieh Construction & Engineering (大業建築, incorporated in 1966, responsible for construction of the Wing Lung Bank Building in 1971-73, renamed Hip Hing Builders in 2003) – all of which were placed under Yan as the group’s construction arm. Aside from being involved with New World’s projects such as the New World Tower in Central (1977), Hip Hing was involved in the construction of the Furama Hotel (1973), Ocean Park (1976), Braemar Hill Mansions (developed by Cheung Kong in 1978) and Wong Tai Sin station of MTR (1979) during the 1970s. Hip Hing continues to grow in the 1980s with affiliated projects such as the New World Centre in TST in 1980, the China Hotel in Guangzhou in 1984, Shun Tak Centre in 1986 and Phase I of the HK Convention & Exhibition Centre complex in 1989 and unaffiliated projects such as Lippo Centre in 1987 and the Repulse Bay in 1989. In the last two decades, projects also extended to Macau and the Middle East. Aside from Vibro and Tai Yieh, Ngo Kee (see article on Shanghainese builders) which was acquired by New World also rolled under Hip Hing. Today, Hip Hing remains one of the leading contractors in HK with over 2200 employees and value of contracts on hand of over HK$47.1 billion. Outside of work, Yan Kow was very active in community affairs. He was a director of the Tung Wah Group of Hospitals in 1969 and became chairman of Hoi Yin Association of HK (海晏同鄉會) in 1966 and became vice chairman of the Five Districts Business Welfare Association (五邑工商總會, aka FDBWA) in 1967 and its chairman in 1987. In 1969, Yan Kow donated the FDBWA Yan Kow School in Kwun Tong which operated until 2007. For his contributions to society, he was awarded MBE in 1982. Yan Kow had three wives and many children. His eldest son Thomas Yan Sun-kong (甄燊港) is a journalist turned politician who became the first Chinese president of the HK Journalists Association in 1978. His second son Stephen Yan Sun-yiu (甄燊堯) graduated from Oregon State and Indiana State with business degrees and started Lukin Ltd (祿堅電子) in 1977, which acted as the distributor of Sanyo Semiconductors in HK. 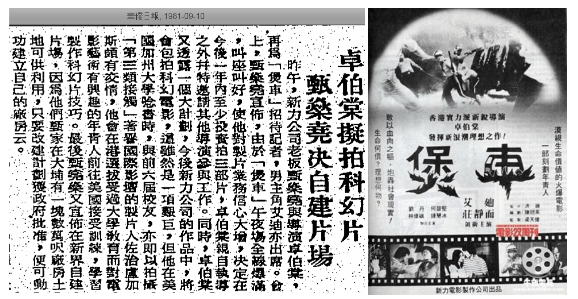 In 1981, he teamed up with director Cheuk Pak-tong (卓伯棠) to produce an action thriller “The Security” (煲車). At the time, he announced plans to produce three more featured films (including the sci-fi genre) and to build a movie studio in Tai Po on land owned by the Yan family but for whatever reasons, the plans did not come to fruition. This article was first posted on 8th April 2019.